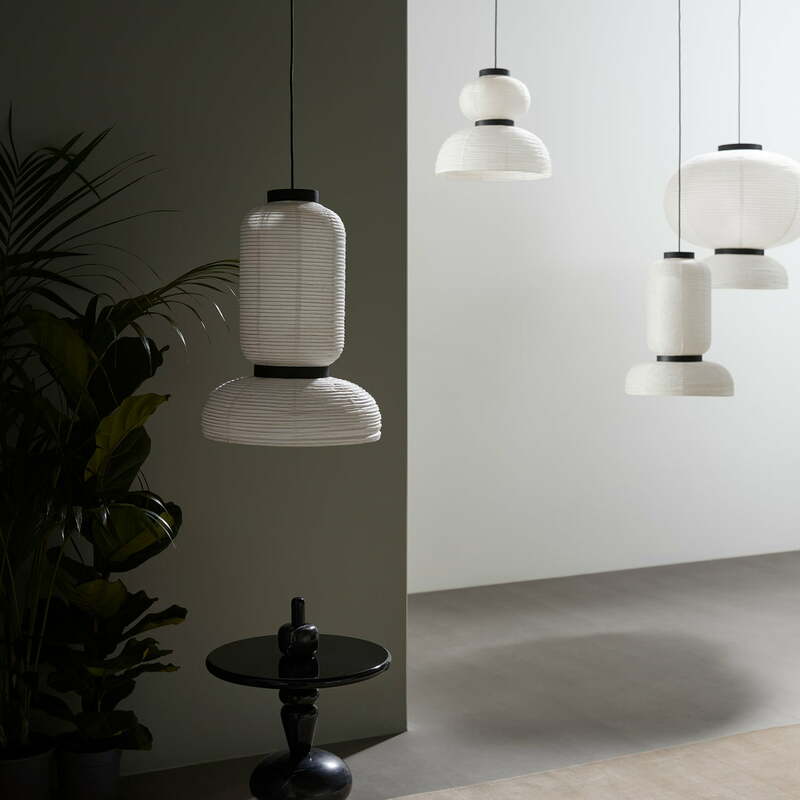 At first glance the Formakami Pendant Lamp JH3 by &tradition is reminiscent of a traditional Asian lantern, mostly used for parties or decoration. Thanks to selective wood accents, the Spanish designer Jaime Hayon gives the lamp a Scandinavian charm that allows it to be very versatile in the living area. The delicate rice paper of the pendant lamp is shaped with the help of black stained oak rings. This creates a silhouette that provides a special light output. The Formakami lamp is equipped with two light sources: While one lightbulb is located in the upper, closed lamp body ensuring a soft, indirect light, the second bulb is placed in the open part of the lampshade providing direct light that brightly illuminates the underlying surface. 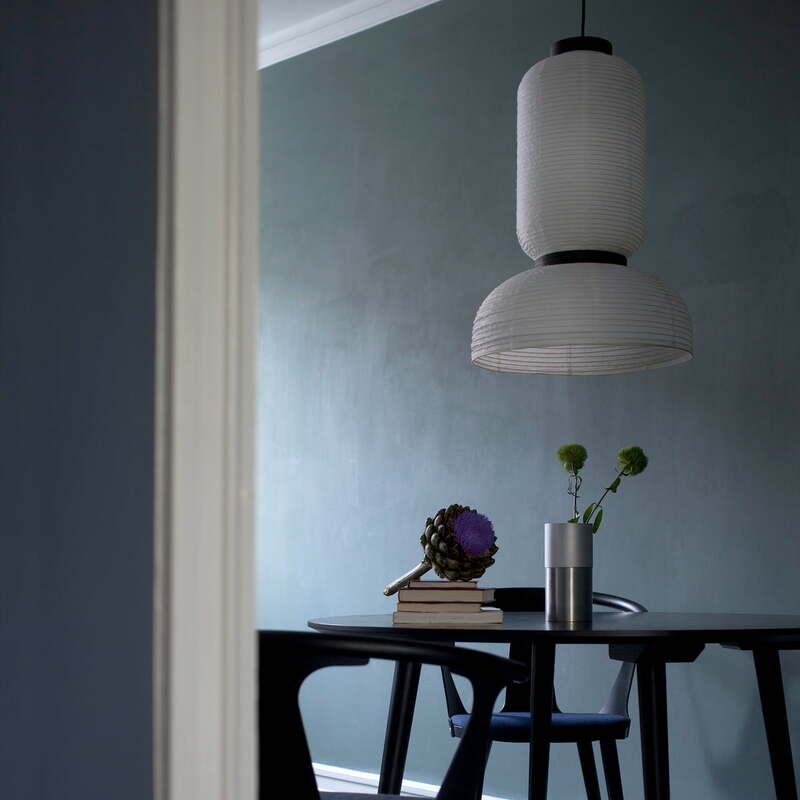 This makes the JH3 especially suitable for atmospheric lighting above the dining table, where the &tradition lamp ensures bright moments with direct and indirect light. Individual image of the Formakami Pendant Lamp JH3. Made from rice paper, the JH3 lamp is reminiscent of the traditional lanterns from Asia, which are used mostly for special celebrations. Individual image of the Formakami Pendant Lamp JH3. Mounted above the dining table, the light gives off indirect light, as well as direct light through the open body at the bottom. Ambience image of the Formakami pendant lamps JH3, JH4, JH5. Arranged in groups and suspended at different heights, the lights become harmonious ensemble. 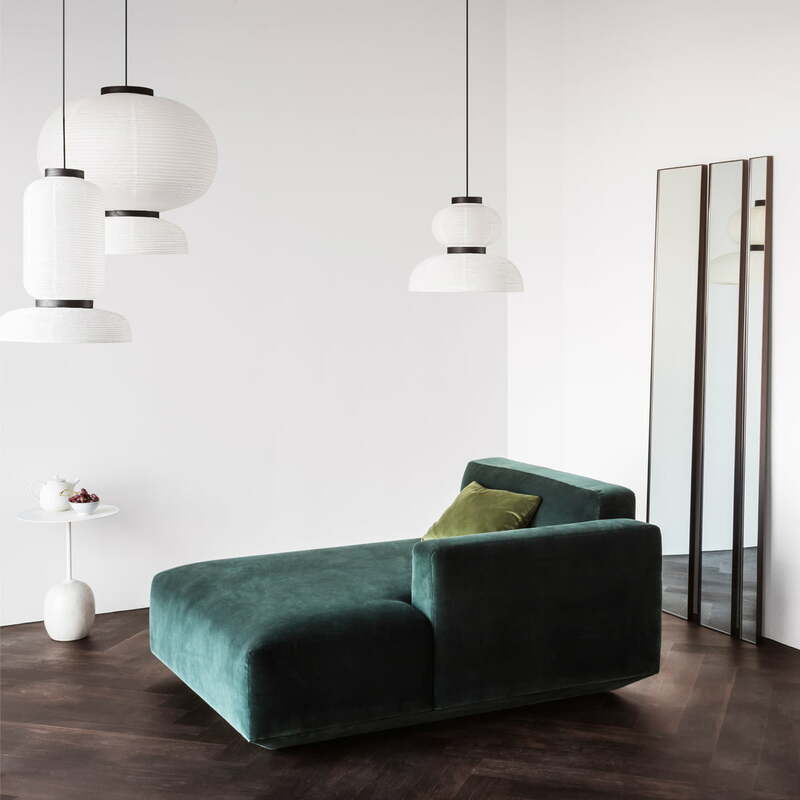 The Lato side table, the Formakami pendant lights, the Develius sofa and the Amore wall mirror by &Tradition introduces a hint of the far East flair into the living room.